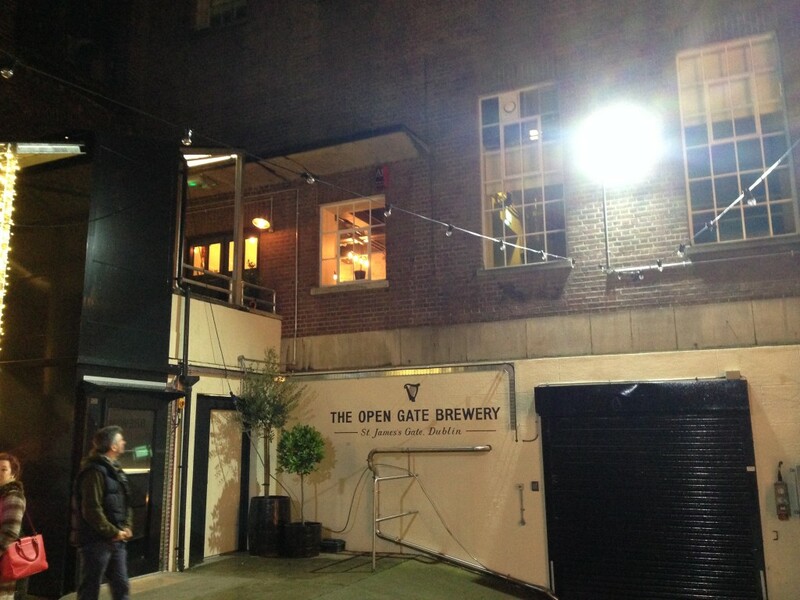 Last night we were fortunate enough to make it to the first public opening of the ‘Open Gate’ brewery bar in Guinness’. 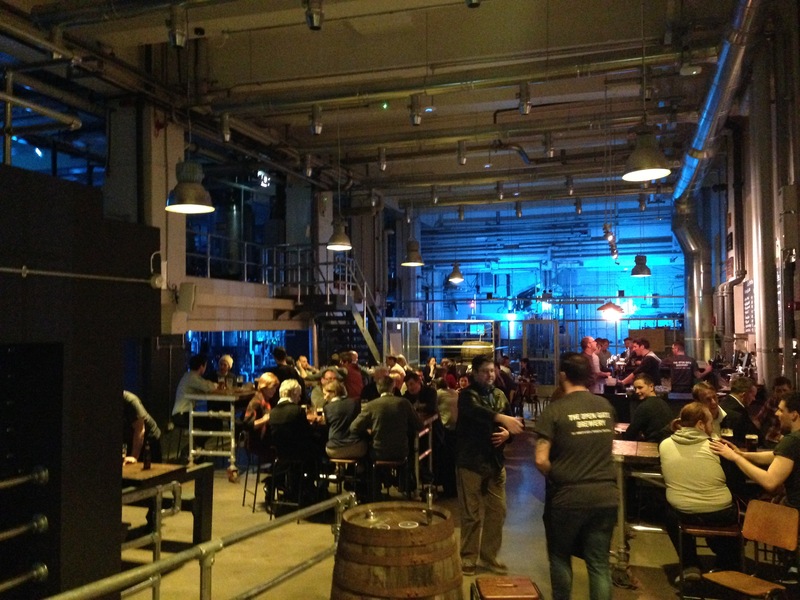 The bar is open Thursday and Friday nights to the public and will be showing off a number of projects undertaken by the brewers. There are limited numbers available, so you have to book ahead. 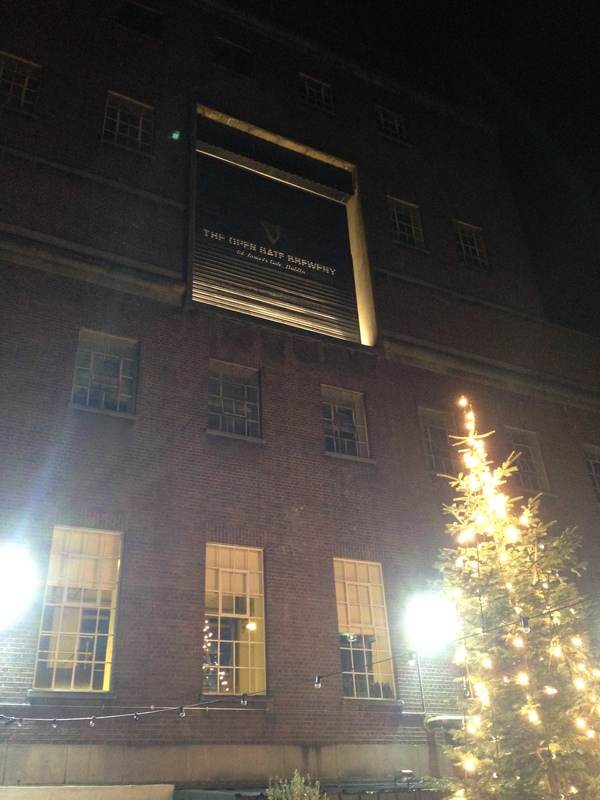 You enter through a large Guinness gate and are greeted with a building that has been converted from brewery to brewery/bar. 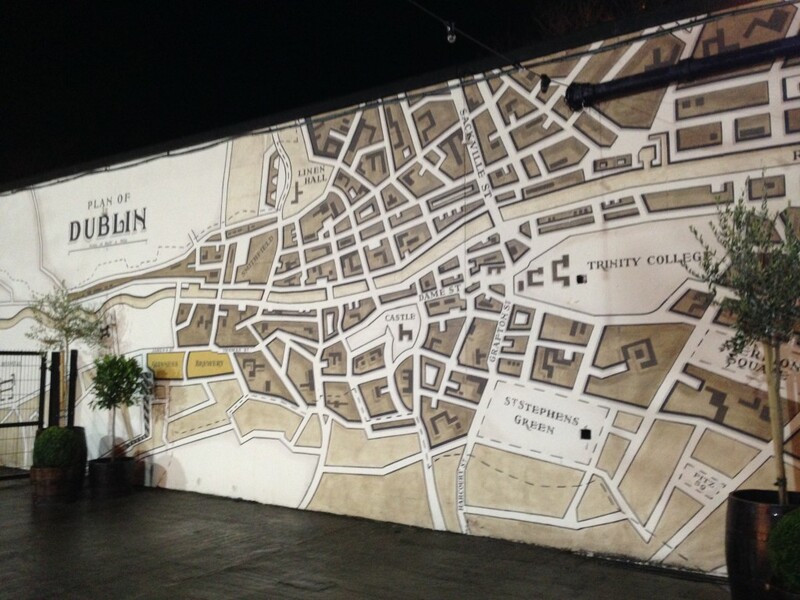 The courtyard area is really well decorated and definitely photogenic. You’re given a ticket on arrival and you use this to claim your beer bat of 4 beers. 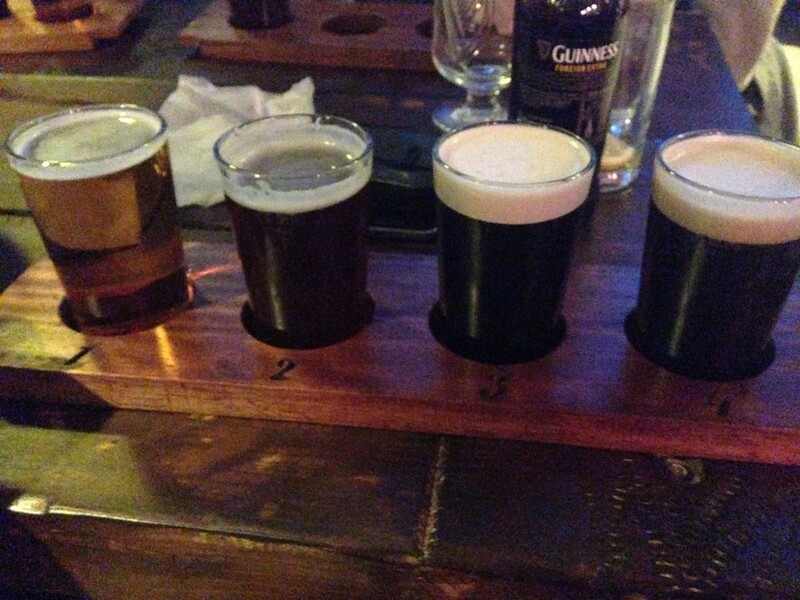 We went for the Smithwicks blonde, Dunkel, Guinness draught, and milk stout. There were several other options, including 2 seasonal beers. They don’t oversell the bar, so it’s quite comfortable to sit in and get around. 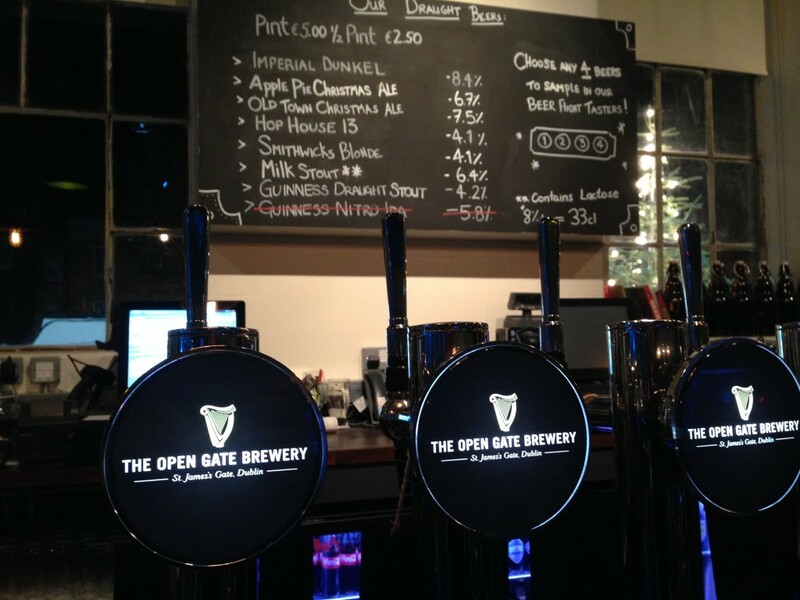 After you’ve finished your sampling, you can buy any of the beers available for €5.00 for a pint. Beyond the visitors bar area you can see directly in to the functioning brewery area that is cordoned off by steel wire and fencing. It’s industrial, but it doesn’t feel as if the Berlin wall is between you and the machinery. 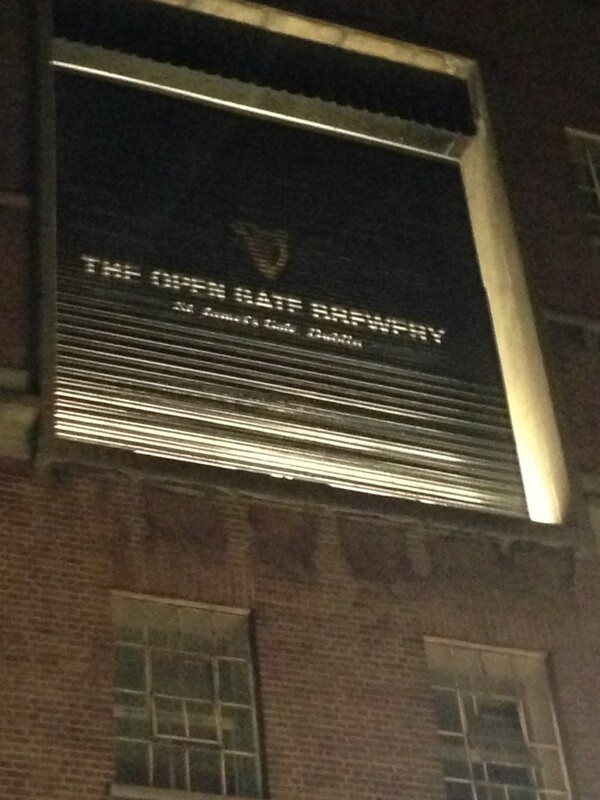 We noticed what looks to be an entrance with a shutter up on the 4th floor of the building. We presumed it was for getting heavy brewing machinery in and out through the use of a crane.